For me, preparing for Writers Unite is a lot of work, but the rewards of seeing someone 'get it' or asking questions or using something that she or he has learned is a reward that negates any toil! I really do love helping other writers. And you guys are the best! I surely don't know everything there is to know about writing - the more I research and listen, the more I learn, too. But I am more than happy to do my part to help where I can. I really enjoyed this past meeting as we discussed and shared how to write a query letter. The keenness of everyone present spurred me into action. I thought, as a bit of a resource, I would post some of the notes I shared orally. You might use it as a review or even as a bit of a checklist as you begin to write your own query letters - you can start with your homework assignment - writing a query letter to a potential publisher! Anyone who couldn't make it to the meeting but would still like to do 'their homework' get hold of me and I will send details your way! You need to present your ideas as succinctly as possible so that an editor will want to read and buy your article or book. Read the publication where you would like to see your article! - visit your library and look through the publications which interest you. Could your article fit here? - Tell the editor why YOU are the one to write this article. - Did you just write a piece on "Cooking with APPLES?" Inform the editor of Taste of Home Magazine about your cooking expertise, your extensive APPLE knowledge, and why their audience needs this vital information from you and nobody else. - Tell the editor what the article is about. - For example, stating “I wrote an article about moms on a budget that I think your readers will really like,” is not enough information. What about the moms on a budget? Did you write about smart ways to cut costs? Maybe this piece is about how to use everyday items in unusual ways. Perhaps it’s to do with working moms who need to find ways to spend more time with their kids than on housework or maybe you are talking about being frugal or using God’s provisions wisely. Be specific. - This is better: Mom’s on a Budget is a step-by-step guide that shows mothers with limited income how to make sensible decisions when shopping. - Talk about an actual budget and make the focus needs verses wants. - It tells the editor what’s in store, but doesn’t give away the whole thing. The idea is to hook the editor into wanting to read your article. - Find out what type of books the publisher prints. Will your book fit somewhere in their most recent catalogue? - As with magazines, most book publishers have websites where you can get a feel for what each publisher specializes in printing. - Give a brief synopsis of the book. - Include a brief outline of what the book is about. - It’s a good idea to include a hook or exciting excerpt from the book. - Put your contact information at the top of the letter. - Find out the editor's name. - Editors leave or change titles within the company more frequently than you may think. - Phone and ask if you don't know. Don't always rely on information in writer's market books - especially if they are out of date. - This is the part of the letter that makes new writers nervous. - Don’t panic though — you do have writing experience. Think back on everything you’ve done. Have you had anything published online? 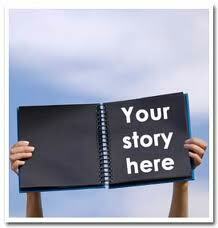 Have you written anything for others, or a church bulletin; maybe a news release for a local event. What about letters to the editor? It is still writing. Do you belong to a writing group - local and professional? This is good information for editors to know. - Give pertinent information the editor can use. - State the genre, the potential audience, and word count. - visit Canada Post’s website to order your stamps prn. - State what enclosures are attached. - Put the same care into the letter that you (hopefully) put into the story or article. A poorly proofed letter doesn’t bode well with editors. They may still give you a chance if there’s a minor typo or two (though preferably not in their name or the company name), but a letter filled with errors goes straight in the garbage. - Pay attention to their guidelines - they are not all the same. 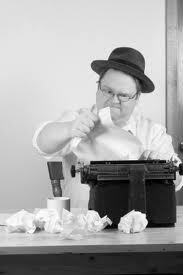 - For magazines: some will ask you to send a cover letter and the entire article. Others will ask that you query only — without the article. - For both: you may find they only accept email queries and will ask you to use postal mail for the manuscript (ms), or they want both by email, or both by post mail. - If you aren’t sure, look in a recent copy of a writer's market (can be found or ordered from the local library) for the website (or Google the company). - If they state they do not accept simultaneous submissions, then send your article only to them and wait for their reply before you approach another publisher with that same article. - If they state they do accept simultaneous submissions, it is a good idea to let them know you’ve submitted queries elsewhere so if they really want your article or book, they’ll know to move on it right away. - If they tell you they won't take unagented queries, then either find an agent, or cross that publisher off the list until you have representation. - If you didn't learn the editor's title (Mr. Miss, Mrs, etc), leave it out. - Don't refer to Kim Bell as Mr. Wright unless you know Kim is a man. Stick with what you know. "Dear Kim Bell" is a good intro in this case. If Susan Shepherd is definitely a woman, unless you know her marital status, don’t include a title then either. Mrs. Shepherd may take offense to being referred to as Miss or Ms.
- Don't tell them you're new to this. - Never use friends or family as proof of your abilities. Why would they say anything but good things about your writing. They need you to feed and care for them! They know that poor reviews might mean no apple pie. Don't ever tell an editor that your mom or Aunt Martha said you are the next Farley Mowatt or William Wadsworth Longfellow! 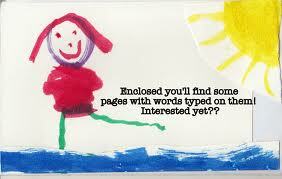 - Offer editors enough information that they’ll want to read what you have written. - Don’t use exclamation marks, bold, or caps. These are tools of an amateur. If you feel you must make an exclamatory statement, use one exclamation mark, only. - Don’t query publishers you don’t know. - Do your homework and never say that you don't really know their magazine. If you don't know much about their magazine the editor or publisher is likely not going to be too interested in looking at what you have to offer. - Don't pretend you know the editor through a friend of a friend's friend. Editors are quite smart and don't take kindly to name dropping to any degree. - Don’t pester the editor. That means no hounding telephone calls or annoying emails. Check what the guidelines say about response times then add three weeks to that before you start contacting the company. Try to keep your query letter short and to the point. Make it neat and inviting. Make sure you have prepared a letter without grammatical errors or spelling mistakes. Remember you get one chance to make a first impression. Make it count! Wow, Janet! Tons of good information for writers, young and old...new and seasoned. Thanks for putting it all in one place. I will visiting often.